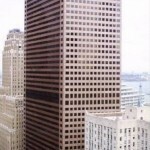 I am very happy to announce that visibility911.com has produced another resource to add to the body of 9-11 related cards which are now available. 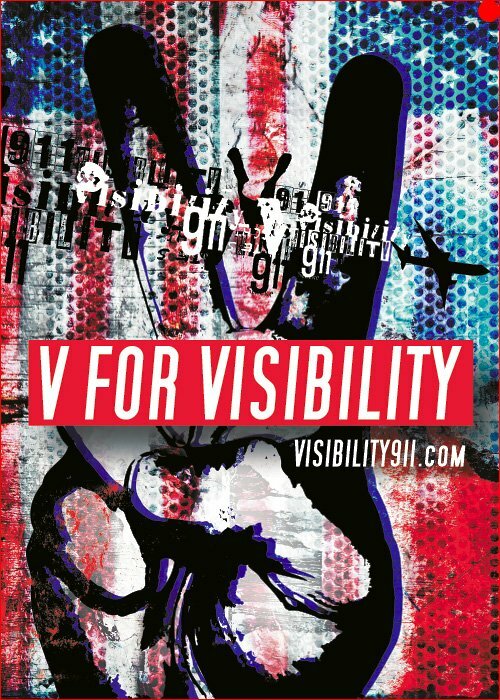 Our new V for Visibility – 7 Facts About 9-11 Cards are now available and will be sent out as a gift to those who choose to support Visibility 9-11 through donations to the program. Please consider making a donation to keep this program and website going. 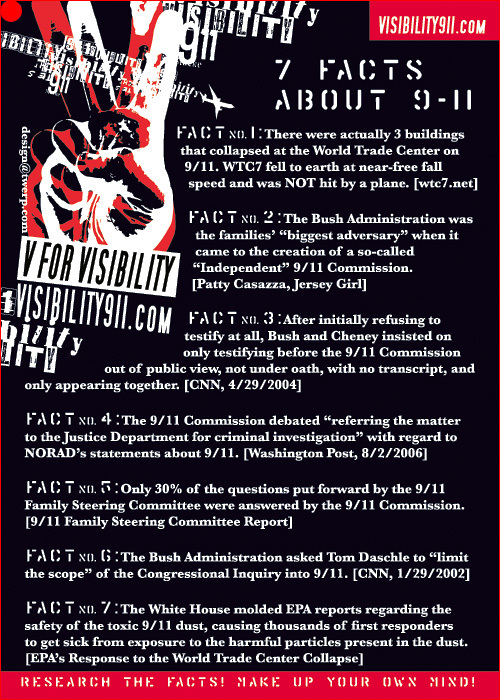 Then use these fantastic cards to spread the word about 9-11 and our growing source of solid information about the September 11th attacks here at visibility911.com. See both the front and the back below. Special thanks goes out to Twerp , webmaster and graphic art team for visibility911.com.